The annual Rotterdam film festival has been regaling cinephiles with films from all over the world since 1972. It’ll be back in action this winter with another treasure trove of cinematic wonders. Brandon Hartley takes a look at the fest along with some of this year’s highlights. Whether you enjoy Oscar contenders, bizarre comedies from Japan or innovative short films, there’s something for every taste at the International Film Festival Rotterdam. Now in its 46th edition, the festival is a bit different than its contemporaries and it remains one of the most ambitious galas of its kind in the world. While IFFR offers dozens of traditional film screenings for the public, it also features showcases for experimental movies and events for filmmakers that encourage them to chat with attendees rather than get blinded by flashbulbs while they stroll down a red carpet. There’s certainly less of the glitz and glamour that can be found at Cannes. IFFR is more about celebrating as many diverse films as possible instead of helping starlets earn themselves a spot in a People Magazine photo spread. The campaign for this year’s fest is ‘Welcome to Planet IFFR,’ which represents both its international focus and its efforts to remain accessible to cinema lovers from all walks of life. 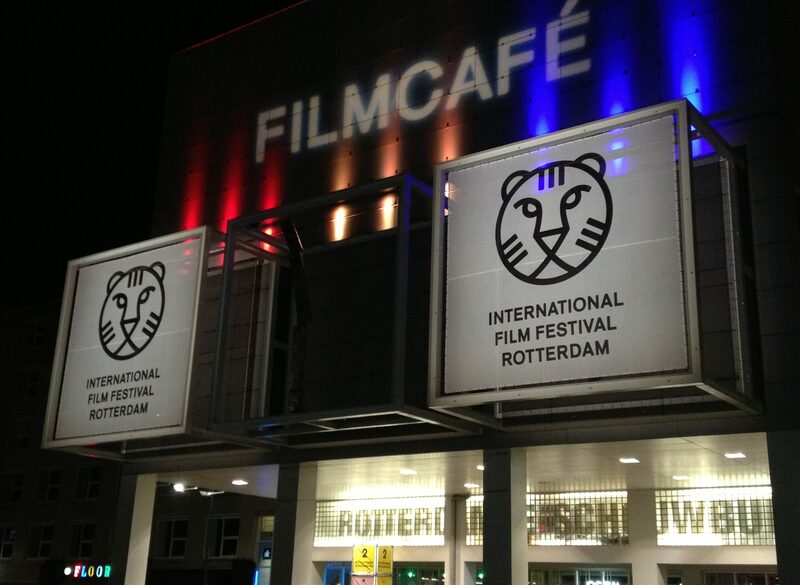 The organisers have made strides in recent years to expand IFFR’s borders beyond the event itself. It now hosts a monthly film night at Rotterdam’s KINO theatre. The fest is also involved in efforts like the Propellor Film Tech Hub, a collaboration to develop new ways to produce and distribute movies in a world where seemingly more and more people would rather stay home than go to a movie theatre. ‘The industry needs a whole new dynamic, but for this to happen you need to get some initial movement,’ Beyer says. While theatre operators in other parts of the world might be fretting, the number of cinema visits in the Netherlands actually rose in 2016. However, only one in eight people who went to the movies last year saw a Dutch film. Should local filmmakers and film fest organisers start worrying, especially as they face increasing amounts of competition from services like Netflix? IFFR already has a few tricks up its sleeve. This comedy-drama from the United States will serve as the opening night film on 25 January. It follows the trials and tribulations of a 40-something geek played by comedian Brett Gelman. The film, which also stars Arrested Development vets Judy Greer and Michael Cera, will have its official premiere a few days prior at the Sundance Film Festival. The third edition of this live ‘cinema experience’ will take place between 27 and 29 January. The events in Rotterdam will help premiere six new European films while they show in other cinemas as far away as Tel Aviv and Singapore, thus creating a series of the largest simultaneous film festival screenings anywhere on the planet. Afterwards, the audiences can participate in virtual Q&A sessions via social media with the filmmakers. Eight films will compete for this year’s VPRO Big Screen Award at the fest. They include Pop Aye, a film from Singapore about a disillusioned architect who goes on a trek through Thailand with an elephant and Marjorie Prime, an American science fiction film starring Jon Hamm, Geena Davis and Tim Robbins. This slate of films will take a look at issues that impact black communities around the world. The programme will include movies being screened for the first time in the Netherlands as well as classic dramas, shorts, documentaries, experimental films and even science fiction releases. Director Jim Jarmusch played a big part in the evolution of independent cinema in the United States back in the 1980s with films like Stranger Than Paradise. His two most recent releases will screen at IFFR this year. Paterson stars Adam Driver as a bus driver navigating everyday life in New Jersey. Gimme Danger, Jarmusch’s documentary about the seminal punk band The Stooges, will also appear. The 2017 IFFR runs from 25 January – 5 February. The festival’s programme and ticket information can be found on its website.